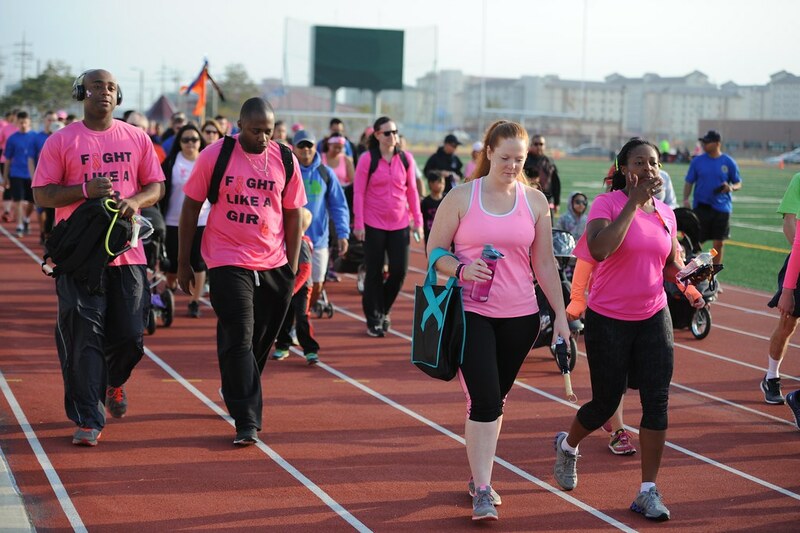 People participate in the race to raise awareness for breast cancer. October is the Breast Cancer Awareness month. It is also the time for the annual Susan G. Komen Race for the Cure. Survivors, family friends gather to raise money for those who need treatment for breast cancer. This race wants not only to raise funds but also make people pay more attention to this disease that can be prevented. Organizers are also hoping that the event will also inspire others to exercise more. If you wake up early on Saturday morning, you can see a lot of people in the pink running. The event takes place across the United States. Last year there were places where it was not possible to hold the Race for The Cure because of hurricanes. However, the event managed to raise millions of dollars that will help those who can’t afford treatment and researchers who are looking for a cure. The Susan G. Komen foundation provides money for programs and research for some years. Some of the proceeds go the organization, while others to the local communities. Cancer has touched too many lives. There are thousands of women who suffer from breast cancer every year. Some of the people who will join the event just found out that a relative or a friend was diagnosed with this disease. It is hard not only for the patients but also for their families. Breast cancer can be prevented by going to the doctor every year and get a mammogram. It is the easiest way to discover if something is not right with your body. There are a lot of women who survived because they discovered the disease in time. Unfortunately, sometimes it is too late. The Race for The Cure is for everyone. It is for those who are still alive even though they fought a difficult battle. It is also for those who did not manage to survive. It is for all the communities who want to raise awareness about this disease. As we already know, there is no cure for cancer. If it is discovered at an early stage, radiotherapy can make it disappear. However, not all the patients are so lucky. We are expecting more events regarding this matter this month.